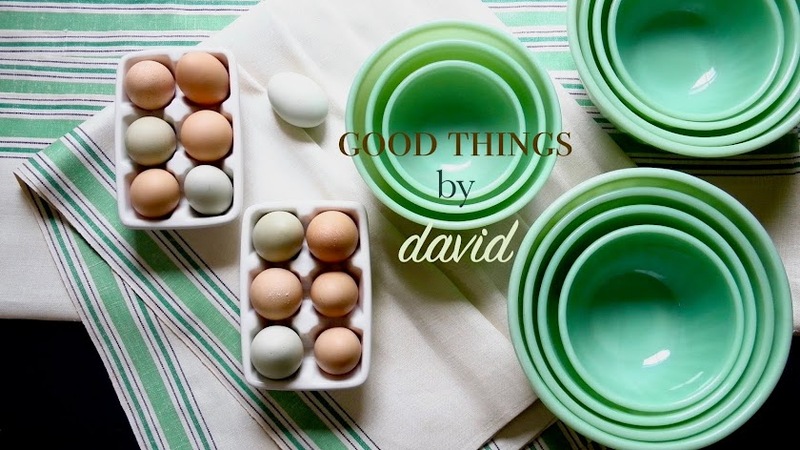 Good Things by David: Cookie Cutter Giveaway! Those cookie cutters are lovely! Bees and hives are charming to me, I love how a hive smells in the middle of summer and watching a bee make drunken turns in a flower. I hope to keep bees in the near future but for now I observe and paint them from time to time. I love them! Bees remind me of the long, lovely days of summer spent at my grandparent's farm during my childhood. While I admit to being scared out of my mind when coming across a hive "in the wild", I loved the wildflower honey that came from the hives my grandparents kept behind the barn. I can hardly wait for this summer and fresh honey again! Bees and Hives basically mean everything spring to me. It’s the start of great produce getting ready to show up at the farmer’s markets. It’s the mark of Easter and getting to be outside and enjoy the weather. It’s the start of new and fresh and opening my windows and doors and enjoying my family. These cookie cutters are awesome and best of luck in all of your ventures! 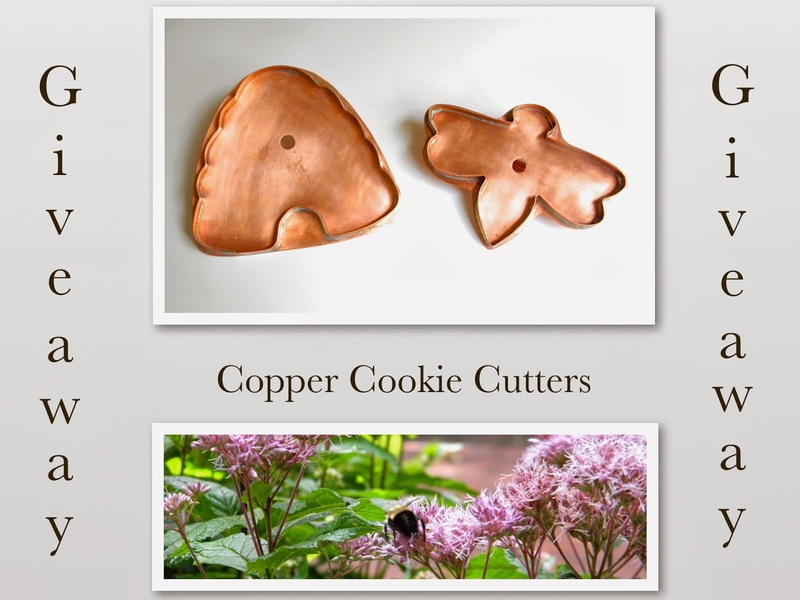 Also, loves those copper cutters! They really match my kitchen where everything is in black/cream/white and golden metallics. Bees mean buzzing and pollinating. It means spring flowers. It means lavenders, poppies, roses, daisies. Beehives can only mean more buzzing bees and honey! Honey is good on everything. Sweet, pure, organic honey is the best. Most of all, bees and his make great decorations in yellow and brown. I love the pictures I can paint only in my head. I meant bees and hives.....auto correct is not good to me. My hive is in NJ and I live in a colony of 5 boys. I guess you could say I’m with queen, although it doesn’t always feel like that! Love your website and hope you pick me! What a wonderful give-away, David! A treasure indeed for some lucky, lucky reader! I was thrilled to see that you were giving away the two cutters I would have picked as my top choice. Bees and me have a complicated relationship. I am severely allergic to bee stings and have to carry an epi pen around. But, I love bees and honey. In fact, I collect some beehive items. These cutters would be the perfect addition to my collection! Thank you! The kids must have been four or five when we visited our local historical museum during their Xmas fair. It was freezing outside. As we walked up the stair case in the building, their dad started screaming like a little girl. I thought maybe he was having a heart attack. Or got stabbed. Nope. Got stung by a bee. In the dead of winter. He couldn't stop whining. It gets worse. The damned thing was actually following him throughout the building. He finally whacked the bee to death in front of the daughters of the revolution. I remember this cause I heard the old bitties say they thought he was a drug addict going through withdrawal. Anyway, even years later whenever he sees a bee or a hive or anything bee related, he goes on and on how this was the worse day of his life. We love it as he relives his tantrum. We wet our pants every time. Didn't expect this, did ya? Bees are a symbol of spring and summertime. I like when I see them in people's gardens buzzing around the flowers. They bring a smile to my face. Even though I don't keep hives I admire people that do. They're very important for our world's ecosystem. Bees and hives have been around for thousands of years! We need to make sure they're around for thousands of years more, for everyone's future! Bees and Hives sums up my life. I was the Queen Bee Mom (four kids) and just this year, our "hive" became an Empty Hive. I channeled my energies into being a busy bee, as it's an emotional adjustment to go from stay-at-home mom to a life that includes just my husband and me. I do a lot of baking, and LOVE these cutters. great giveaway! Bees and hives mean Flowers, honey, life! I welcome the bees and do all I can to make them stay! Bees and hives are life. Bees work hard, work collectively and all for a greater purpose--it's all about maintaining that hive. They are necessary for us to live and thrive, and yet they are entirely dependent on us to make sure they live. Such beautiful cookie cutters! I love everything about them and would treasure them if they came to live at my house! 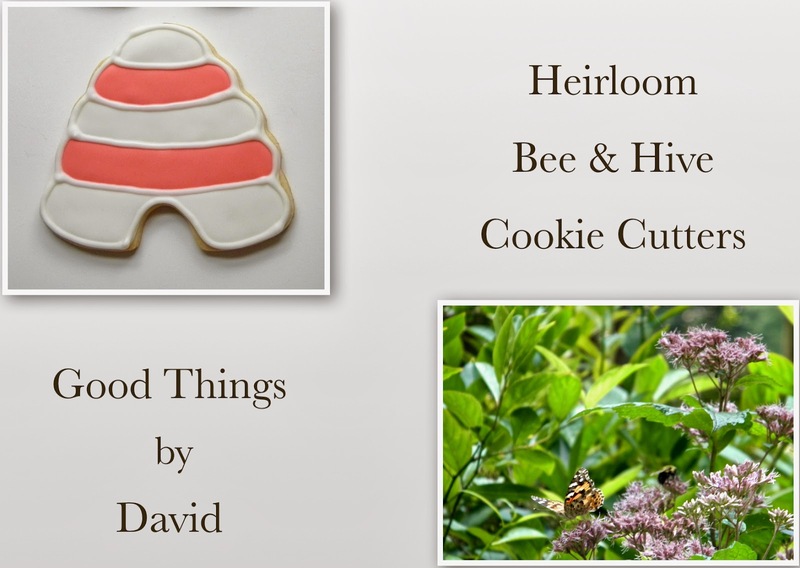 I have not had any good experiences with bees or hives but I don't think about those experiences when I see your beautiful cookies. I think your design and Michael Bonne's ability to bring it to fruition is a wonderful collaboration of art. 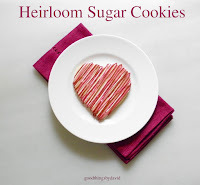 The cookies are such a symbol of the spring I think we all desire! Such beautifully hand crafted cutters! What a delight it would be to have these in my collection! I have been a collector of Martha Stewart Cutters from the very beginning. It is wonderful to see your cookie cutters follow her tradition. 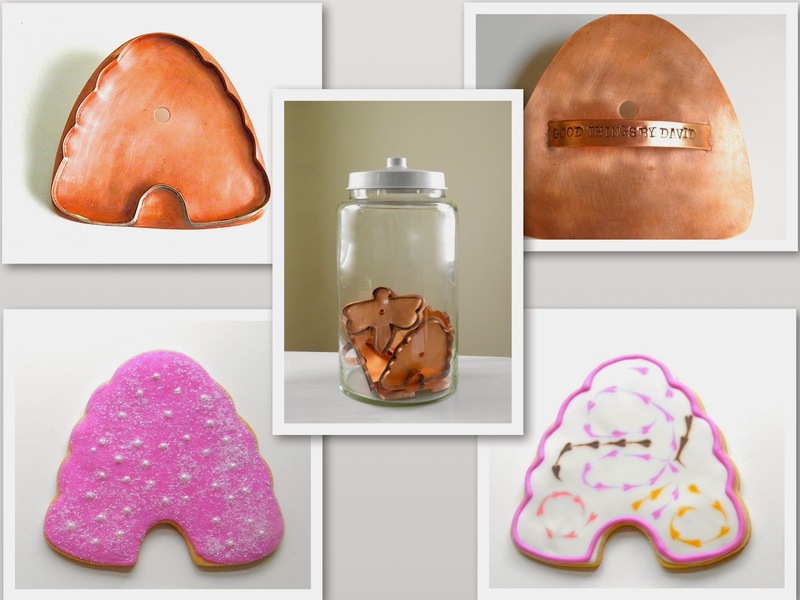 Lovely for you to give us an opportunity to win a set of your beautiful copper cutters. Your cutters are lovely ... Bees always remind me of Warm Summer days, Buzzing Heaven as they busy themselves with their task at hand. these are so pretty...it just screams spring to me. I have a few lemon trees in my backyard...and I am beginning to see the bees buzzing around lately. BTW, I love your Chocolate Cookie recipe...they do not spread and tastes delicious. Oh, the Bee and Hive.. The buzzing of bees in the warm spring air are a sure sign of beautiful flowers in the garden. Every time I see a bee and hive my mind wanders away from the garden, to Martha by Mail. It was the symbol of what had to be the greatest mail order merchandise ever made. I only wish it would have survived! These cutters remind me that the 'good things' Martha created and inspired each of us to create will live on forever. To me they mean everything spring. Right now they would be about the best thing in the world since we can't seem to get a break from winter. LOVE the cutters, so please pick me!!! 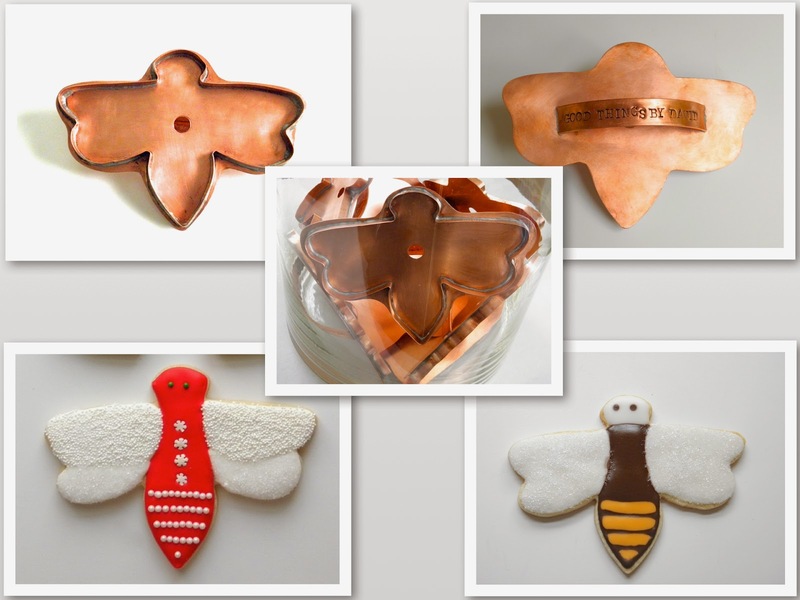 These are beautiful cutters that would make a perfect addition to my Martha Stewart and Michael Bonne cookie cutters :) To me, bees are a beautiful and miraculous expression of God's creation. Using something so small for an incredibly huge job. 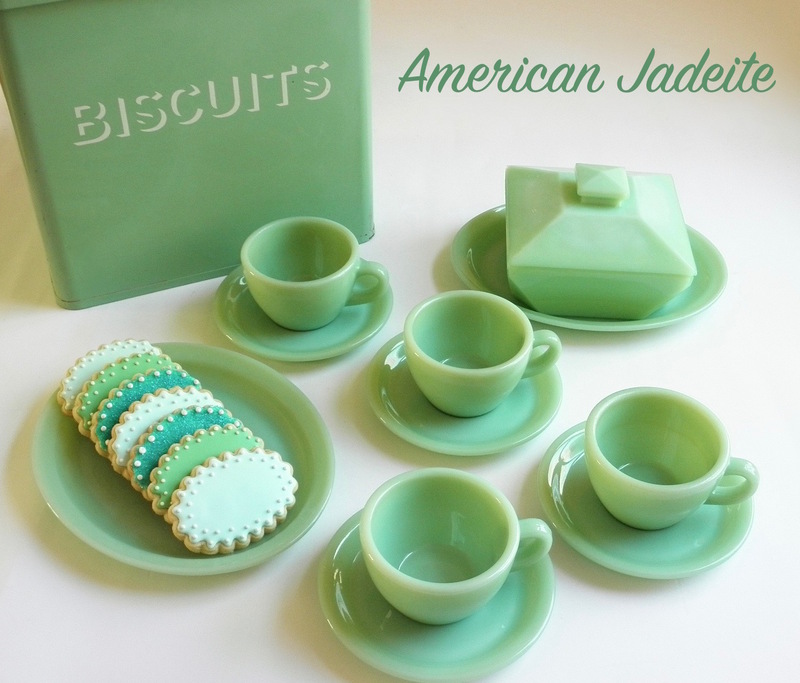 I love how unique and beautifully made these fab cookie cutters are.